Rakher Upabash is a Hindu religious fasting festival. 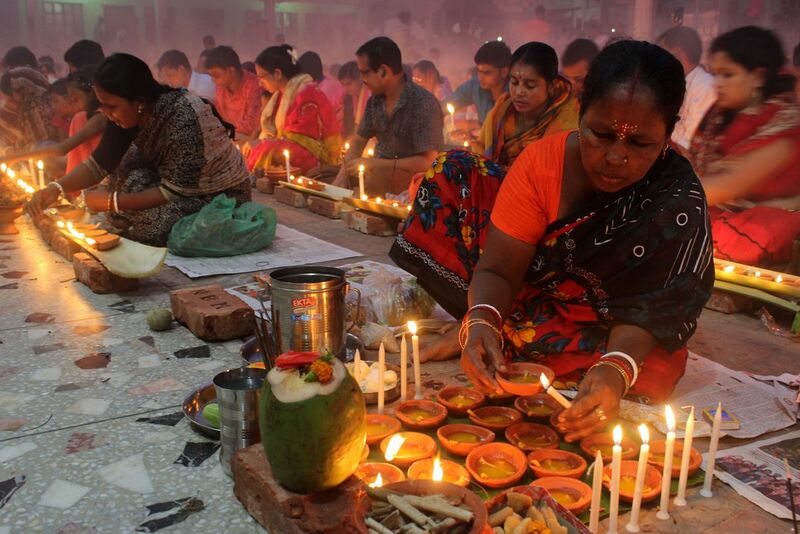 Hindu devotees light candles and pray in the Baba Laknath temple during the Rakher Upobash. Hindu devotees fast and pray in earnest to the gods for their favours during this ritual. Date Uploaded: Nov. 12, 2017, 7:02 a.m.